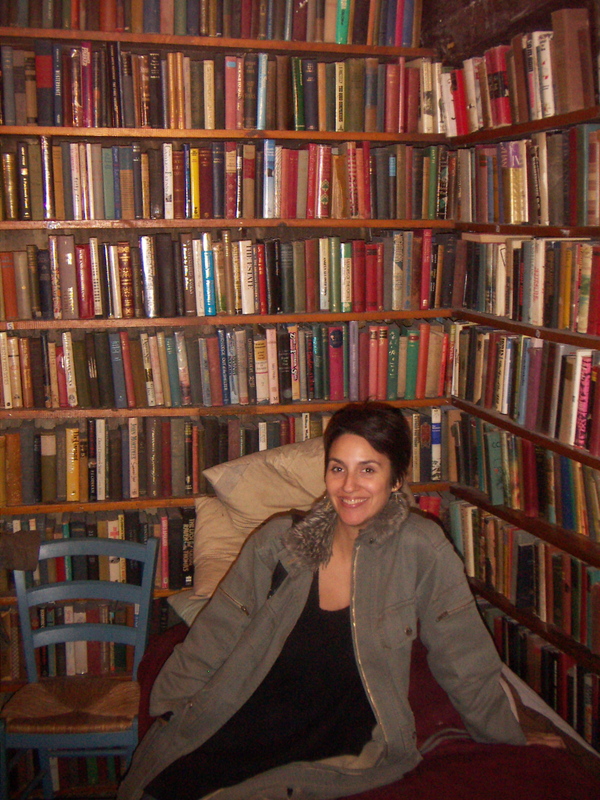 Me at Shakespeare and Company. I could quite happily live in this bookstore for the rest of my life. 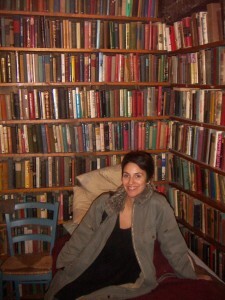 I am a writer, reader, teacher, mama, friend, sister, daughter, and neighbor. I share a sweet, messy home with the dude and our two Lego-doin’, song-singin’ kids. We moved from Brooklyn, NY to Portland, OR in December of 2012. Life here on the west coast has been full of change, discovery, and great coffee. I hope it stays that way. I call this, my home on the web, “I’m thinking…” for two reasons. First, it takes me a long, long time to decide what I think, what I want, and what I like. I’m not wishy-washy, I just need time. I’m a libra, so please don’t blame me for that personality quirk. The second reason is that, sometimes, in the midst of all the errands and dinners and games of Go Fish, I forget to think. That is, I forget to think about – for lack of a better word – bigger things. This site is my way of forcing myself, regularly, to sit down and squeeze a little something out of this thing I call a brain. Your DIY MFA thing is something I’ve been thinking of doing as well. Have you ever thought of teaming up with fellow travelers on this project? I did my BA in creative writing and my fiction has appeared in Relief, The Midnight Dinner, Greenbriar Review and Literary Orphans. I’d love to do an MFA with a likeminded person.